While a Fulbright scholar to Korea, Jason Ahn became interested in the divided families through Saemsori, an organization working towards formal family reunions between Korean Americans and Koreans living in North Korea. The necessity for a historical record of divided families and the power in showing stories through film inspired him to embark upon the Divided Families Film. Jason is interested in the intersection of film and social change. In the future, he hopes to make a difference as a practitioner of global health and social medicine. He is a graduate of Harvard Medical School and Harvard Kennedy School of Government. 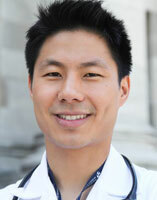 He is currently an emergency medicine resident at Brigham and Women's Hospital and Massachusetts General Hospital. He earned his BA from the University of California, Berkeley.